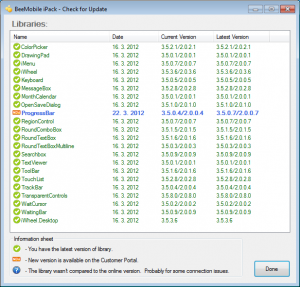 The latest version of BeeMobile iPack includes a new application which simplifies your checking for updates. You can compare your current version of installed controls with the latest version on our server by running this app. Now the Customer Portal will be primarily used for downloading new versions and you do not have to visit it for checking the updates. You can find the manual for using this app on our webpage in Technical Articles.